After my toast to Dottie - my sister called and told me they were going out to the Clark County Fair in Ridgefield, WA. So we decided to join them since this was the first year that my niece was able to ride the kiddie rides. Plus it was something FUN! Especially since we both love to people watch so much. The county fair is #2 (to airports) for people watching. And what's better at the fair??? Shaved ice! 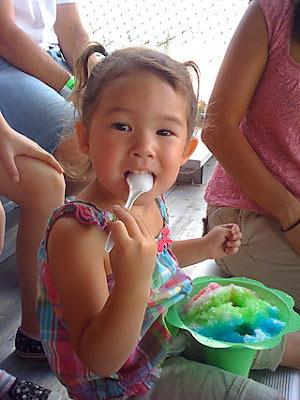 Check out the size of this shaved ice that my niece has..
Daily Grind. 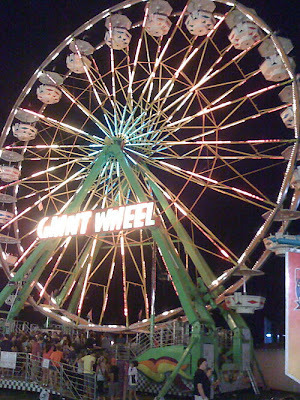 What was there to eat or what did I eat at the fair? My weakness happens to be corn dogs. Not sure what it is but LOVE the corn dog, has to be freshly deep fried, a little crunchy and lava HOT. Oh! and with cheap mustard. But I was good, or tried to be. I had a pulled pork sandwich and dumped the bun but then went in for the GIANT elephant ear. Definitely went over my points by 8pm. 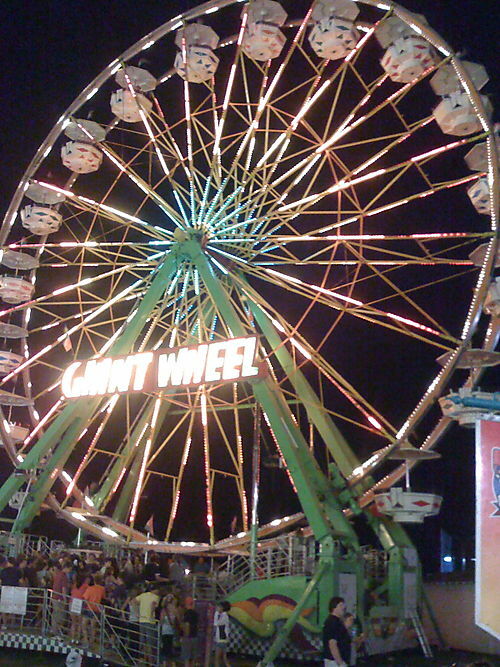 So what do you eat at the fair? The good and the bad? Mix with hand mixer and enjoy! If you use fresh fruit you are going to want to add some crushed ice before you mix so you get that smoothie texture - very filling and 6 WW points and 8 servings of fruits and vegetables (thanks to the Greens First), serving of dairy and some protein to boot. I use that yogurt because the whole stuff has WAY less sugar. Gotta watch out for that low fat stuff having too much sugar.